JACKSONVILLE, Ore. — Herb Quady used his passion for Rhône varieties and tapped into Southern Oregon’s inherent flair with Tempranillo as he and his Barrel 42 Custom Winecraft team swept the superlatives at the 2018 Oregon Wine Competition. 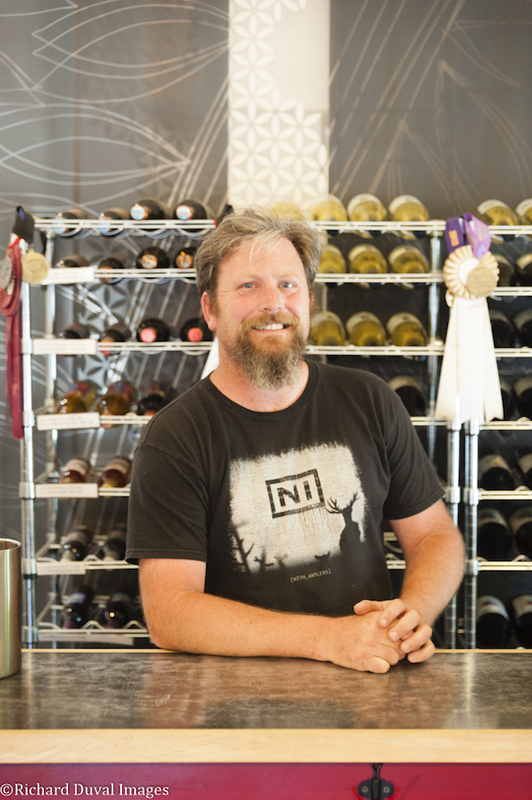 The Quady North 2017 GSM Rosé captured best of show in the specialty category while the Old Ninety Nine Cellars 2014 Tempranillo earned the award for best red wine and the Awen Winecraft 2017 Viognier won the vote for best white wine of the judging. Those latter two wines were collaborative efforts with clients of his young custom-crush facility. “It’s difficult enough just to get a single best-of-show award, therefore it is incredibly remarkable to have a single producer create a red wine, a white wine and rosé all worthy of a best-of-show award,” Bruce Nicholson, chairman of the Oregon Wine Competition, wrote in an email to Great Northwest Wine. Sean Hopkins and Tom Homeward work on their young Awen Winecraft project at Barrel 42, and Quady’s crew joined forces with Sam DeSimone of Old Ninety Nine Cellars on the Tempranillo — a bold red from the first vintage of wine produced in the former SOS Pear Plant along Highway 99 in Medford. The judging was staged Aug. 4-5, but the results and final fundraising figures weren’t formally released until Sept. 7. 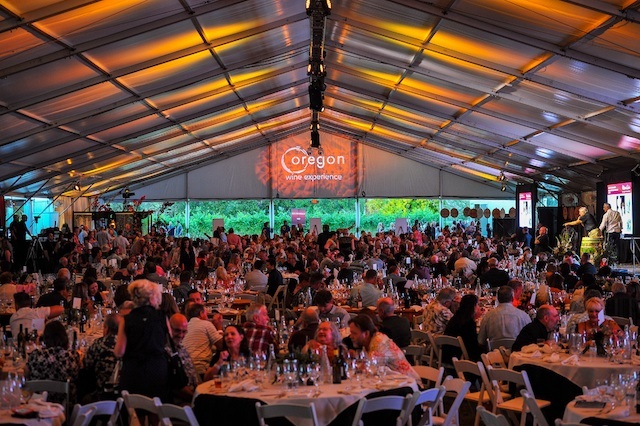 The Oregon Wine Competition has quickly grown to become the largest judging of Oregon wine staged in the Beaver State, and the signature event within the Asante Foundation’s month-long Oregon Wine Experience led to $1.3 million in funding for the Asante Children’s Miracle Network. Officials pointed out that it signaled a 25 percent increase from 2017 and the second straight year the event has topped $1 million. 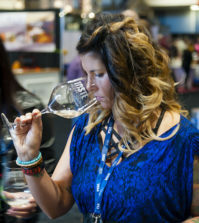 While many of the events for the Oregon Wine Experience are staged at historic Bigham Knoll in Jacksonville, the judging was held at the Ashland Hills Hotel & Suites. Roots of the Oregon Wine Competition stretch back to Southern Oregon’s World of Wine. Its founders recruited Masters of Wine from throughout the U.S. to serve as judges, and the Asante Foundation continues that policy. This year, they brought four MWs to the Rogue Valley – Joel Butler, Redmond, Wash.; Tim Hanni of Bend, Ore,; Ashley Hausman Vaughters, Denver, Colo., and Nigel Sneyd, London. They combined to award 16 double gold medals – signifying a panel’s unanimous vote for gold – and 29 gold medals within the field of 349 entries from 98 wineries throughout Oregon. That included a gold medal for TERO Estates in the Walla Walla Valley community of Milton-Freewater. Abacela in Roseburg received three gold medals, a showing led by the double gold for its 2017 Estate Albariño. Recently revived Trium Wines was awarded three gold medals, which included recognition for its Viognier. 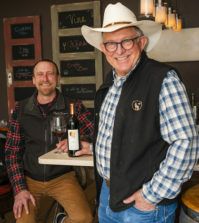 Spangler Vineyards, which Wine Press Northwest magazine named this spring as its 2018 Oregon Winery of the Year, grabbed a pair of double golds with its 2015 Carménère and 2015 Dolcetto. Barrel 42 also helped young Coventina Vineyards earn a gold medal for its 2015 Tempranillo. And there was a gold medal for the Quady North 2014 Cabernet Franc, which showcases Quady’s winemaking and vineyard work with the Loire Valley variety that helped gain acclaim for Portland vintner Leah Jorgensen. A second-generation winemaker from a decorated family in California’s San Joaquin Valley, Quady served as an associate winemaker at famed Bonny Doon Vineyards for iconoclast Randall Grahm prior to moving to Southern Oregon in 2003 and launching Quady North as part of Quady Family Wines. Headquartered in historic Jacksonville, Quady North soon became one of the state’s cult brands. Wine Press Northwest named Quady North as its 2012 Oregon Winery to Watch. Two years later, he and fellow winemaker Brian Gruber both left Troon Vineyards to start Barrel 42, their custom winemaking business in Medford. They subsequently brought on erstwhile attorney Nichole Schulte as an assistant winemaker and partner. Combined, they produce more than 32,000 cases. 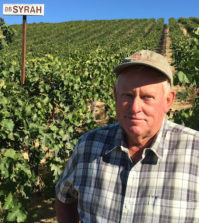 “I do a lot of work in the vineyards and make those critical decisions,” Quady told Great Northwest Wine. “I trained Brian and Nichole, so they know what we’re trying to accomplish, and they bring me in for every blending session and key decisions about the cooperage and sign-off tastings. Quady has been ahead of the curve with his rosé program, and he’s viewed one of Oregon’s leaders for non-Pinot Noir rosé, a campaign that he’s dubbed as “Surrender to the Pink!” with a portfolio that recently added a méthode Champenoise of estate-grown Cabernet Franc. 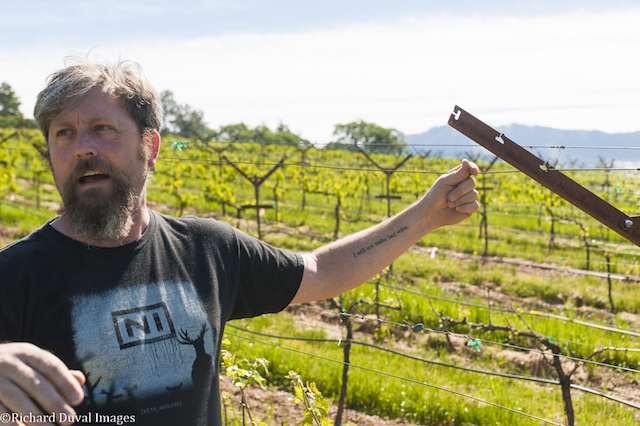 His breadbasket for Grenache-based rosés is his family’s Mae’s Vineyard, a planting at 1,500 feet elevation in the Applegate Valley. He bottles a Grenache rosé ($17.50) in addition to the GSM rosé ($16) and 2017 Rosé of Counoise ($19). 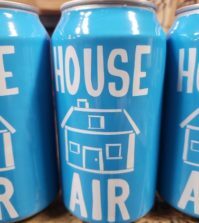 The best of show 2017 pink GSM also is available in a three-pack of 250-milliliter cans within its production of nearly 1,100 cases and 200 kegs. 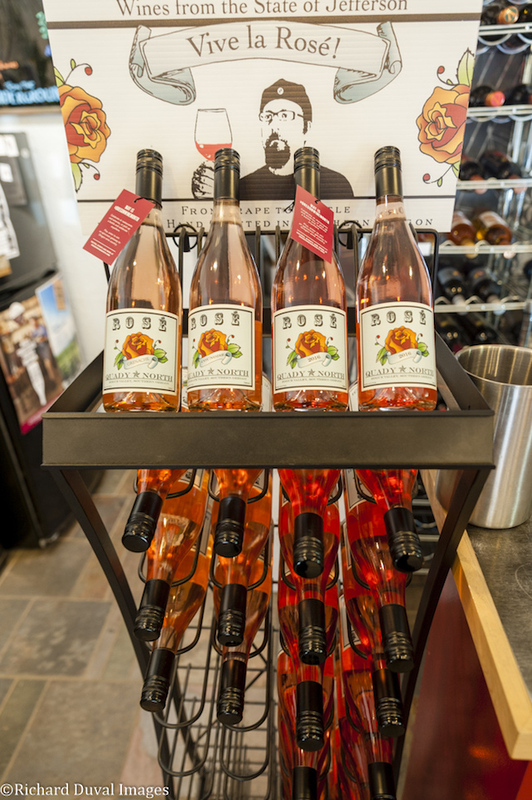 The brand’s total production of rosé has pushed north of 2,000 cases. His harvest targets for the Quady North rosé program involving Grenache are ripeness of 21 Brix and pH from 3.1 to 3.2.